eBooks are electronic forms of text. eBooks are texts that have been “published” in a digital format that displays on specialized reading devices or computers. There are now over 5,000,000 eBooks available online for free. It is now possible to have a library in every classroom or even in your pocket. Online eBook Libraries: This section contains informational links to a large number of exciting free online libraries. This section includes Libraries for Children, Book Note Libraries, Foreign Language Libraries, Libraries for Teachers, General and Special collection libraries, and eBook search engines. News: News articles relating to the use of eBooks in education. History: A brief history of the eBook from its beginnings in the 1940's to today. eBook Readers: comparison of various ebook reading devices, their specifications, displays, formats, etc. Platforms: Quick chart information about some of the major eBook platforms and the computer systems they work with. Features: This section provides information on the eBook formats and their features such as costs, interactions, storage, and display. Accommodations: eBooks can provide many accommodations that would be helpful to students with special needs, English as a second language (ESL/ESOL), and others with reading difficulties. Samples: Sample eBooks for a variety of purposes that I have created or converted. Ebook Borrowing: Get ebooks from public libraries and ebook lending clubs. eBRS: eBook Reading Strategies: Effective Reading Strategies applied to eBooks. The eBRS Program was developed to assist students in the metacognitive process as they learn how to learn by providing active strategies to help them organize, understand, and learn material. eBRS provides strategies for students concerning discussion, reading, writing, vocabulary, and assessment. FL Recommended Reading List: This is a listing of one state's reading list for elementary and secondary schools with links to over 175 books on the list that are currently available online for free. Reading Strategies: Some general information and strategies that can be used to assist standard reading and electronic reading. Classroom/Lesson Ideas: A collection of lesson concepts that can be used in a variety of classroom situations. eBooks in Higher Education: Applications and resources for using eBooks with college courses. Digital Big Books: Using an eBook and a video projector teachers can easily create their own digital big books for display in a classroom. Technology Enhanced Literature Circle: Using technology tools and eBooks to enhance the reading experience. Booktalking Tech: Technology enhancements for having booktalks, those short book commercials. Also, instructions for creating your own video booktalks. Book Trading: While they are not actually eBooks (except for those audiobook versions), these online organizations are a great digital application for reading. Online Book Cataloging Library Resource Tools: There are now a number of free or inexpensive resources that you can use to catalog your own personal collection. 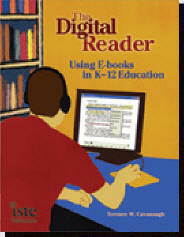 The Digital Reader: Using eBooks in K-12 Education from ISTE press. 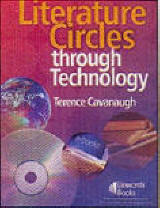 Literature Circles through Technology (Technology Enhanced Literature Circles) from Linworth Publishing. Bookmapping, Lit Trips and Beyond by Terence Cavanaugh and Jerome Burg from ISTE press. The Secret Garden: Annotated with Reading Strategies from Amazon. 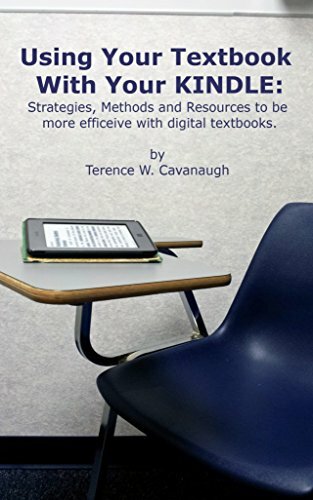 Using your Textbook with Your Kindle: Strategies, Methods and Resoruces to be More Effective with Digital Textbooks from Amazon. 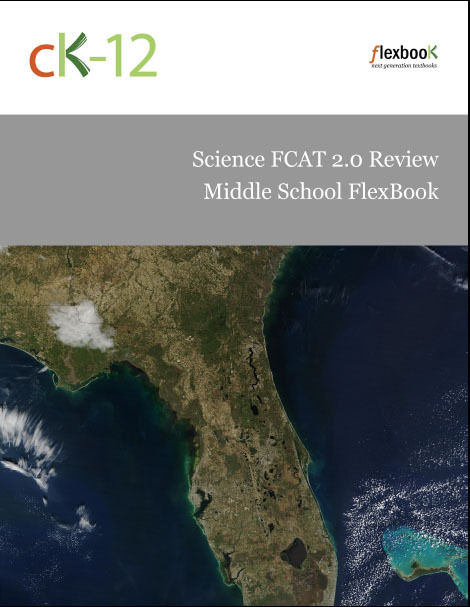 Science FCAT 2.0 Review Middle School FlexBook from CK12.org.